You must be their fan on FaceBook to receive the offer! Fill out the form and submit! 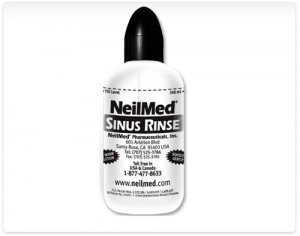 Sinus Rinse™ Nasal Wash is a natural soothing saline nasal wash. A large volume low positive pressure nasal wash is the most effective way to irrigate the nose based on current medical studies. Nasal Irrigation is an excellent way to clean mucus from the nose making medication more effective. They also clean allergens, irritants, bacteria and viruses from the nose reducing the frequency of infection. Furthermore, they help decrease swelling in the nose and increase air flow. Sinus Rinse™ Nasal Wash is excellent for all ages; it is available in isotonic , pediatric and hypertonic concentrations. That addresses several of my cncorens actually. Now I know who the brainy one is, I’ll keep loonkig for your posts.